While there are differences between the two candidates’ priorities on public lands policy, University of Montana Political Science professor Robert Saldin says those disagreements are more nuanced than the narratives being spun by their campaigns. "I think probably at the end of the day, there is a lot more similarity between them than would be indicated by all the recent back and forth allegations." Much of the debate between the two candidates hinges on a vote Zinke made in Congress in support of a bill called the Self-Sufficient Community Lands Act. Denise Juneau originally called it a vote to sell off America’s public lands. "And in fact, that was not correct," Saldin says. "What the bill did was not actually formally transfer any lands from the federal government to the states. What it did was set up a different management system, in which the states would be managing some of these federal lands. Now, the actual amount of land that the states would start managing would be relatively small. But the idea of this is that it would be a pilot program and that presumably if it was successful that more of the federal lands would be managed by the states moving forward." Juneau says her campaign didn’t mischaracterize Zinke’s vote. At a stump speech on public land access in July she said the vote wasn’t good for Montanans. "It was transferring management to politically appointed boards. And that is something we don’t need, something that's top down from D.C. There is good work going on that he should be taking leadership on and providing supports to those efforts, and he is not. So, still a bad vote, and I stand by Montana conservation groups who say it was a bad one." Conservation groups in Montana and throughout the West are opposed to transferring federal lands to state ownership because they worry states don’t have the resources to take care of the land, like when a forest fire breaks out. Saldin says while Zinke didn’t vote to sell the federal land, conservation groups still worry about anything that could shift political momentum in that direction. "And so Zinke appropriately and rightly says he did not vote to sell off any land, to transfer federal lands to the states. But from the conservationist viewpoint, that's kind of a distinction without a difference. [This bill] is being pushed ... by a lot of proponents of transfers and of selling off federal land. And so this kind of thing sends off a lot of red flags." "I have always been a strong supporter of public lands, and have voted against the transfer or sale of public lands. My position is known and well established." After Juneau’s attack on his record, Zinke fired back with a claim that Juneau has voted to sell off public lands as a member of the state’s Land Board. As superintendent of public instruction for Montana, Juneau is one of 5 elected leaders who serve on that board. "My opponent has has voted 10 times as a land board member to sell or dispose of public land," Zinke says. This claim isn’t quite right, says Robert Saldin. "In a very strictly technical sense Zinke was correct, but it is very misleading to suggest that Juneau was in the business of selling off public land. It was a part of land banking." Land banking is a process where the State Land Board sells parcels of public land that the public can’t easily, or sometimes legally access. Then the Board uses the funds from that sale to buy other land that is easier for the public to reach. This process has happened more than 300 times since the program was created more than a decade ago. And it's a program that Zinke voted in support of while in the Montana Legislature. 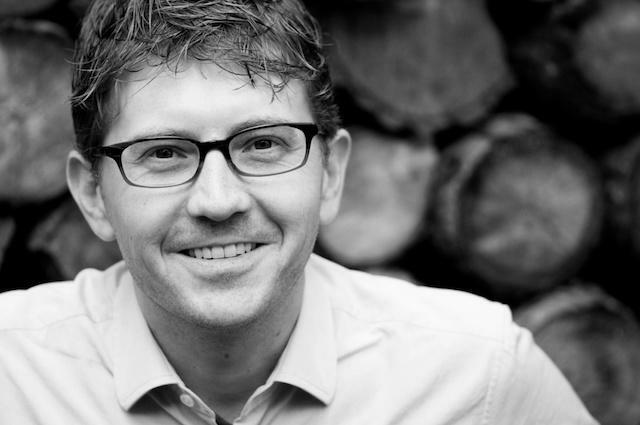 "He is also a member of a party in which support for public lands is now a real question mark. And it seems to me, most of the energy in the party is heading in the other direction." The national and state GOP party platforms both support the transfer of federal public lands to the state. The party says the public should have access to the land for hunting, fishing and recreation, but federal ownership of the land is an economic burden to local communities. In July, Zinke resigned his position as a delegate to the Republican national convention, citing his difference with the party on public lands policy. He delivered a speech on the convention’s opening night, but did not mention public lands policy. While Zinke does not support his party’s position on transferring ownership of federal lands to the states, he does support transferring some management. For the past several weeks Zinke and Juneau have swapped strongly-worded press releases and statements condemning each other's views on public land. Some state co-management of federal land is already in practice in Montana. Governor Bullock has supported the Good Neighbor Authority in the Farm Bill, which allows states to enter into agreements to help manage U.S. Forest Service land. Juneau says she opposes transferring of management. Saldin says although both candidates support public land access, there are policy differences between them. “Zinke probably is a little more eager to explore some of these various experimental approaches to dealing with the perceived problem that no work is getting down on the forest. That lumber mills are shutting down. I think he would be more focused on that issue. Whereas Juneau would probably be more focused on some of the issues that Democrats have been a little more focused on, things like trying to establish more wilderness areas, in the mold of Jon Tester through these collaborative processes. I think those are meaningful distinctions but, it is also worth bearing in mind that at the end of the day both of these candidates are on record as strong supporters of public lands." Both candidates have expressed support for getting more Montanans back to work in the woods and cleaning up the forests, although they would do so in different ways. Saldin says it makes sense for these candidates to debate the management of federal public lands - which make up 29 percent of all land in Montana. That’s more than 27 million acres. So even if the things Juneau and Zinke disagree on are small, nuanced pieces of language buried inside bills in Congress, those differences can have a big impact in Montana. The candidates will have their first chance to face each other and debate those issues in Billings September 1. That debate will be held at 7:00 p.m. in the Petro Theater at Montana State University. 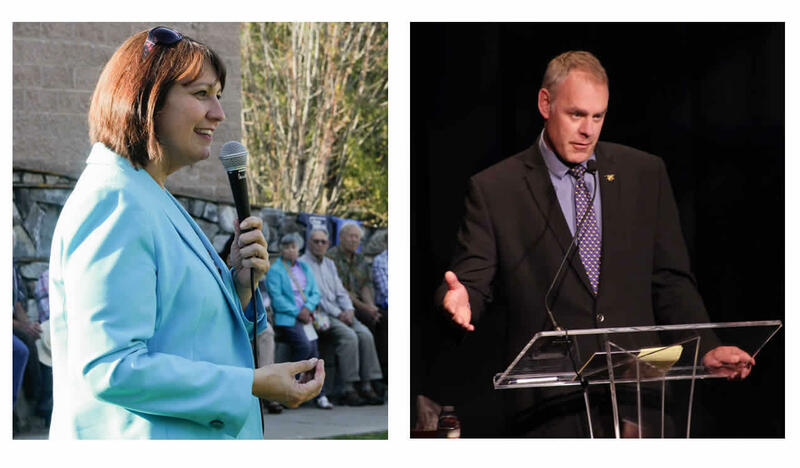 Because Montana Secretary of State Linda McCulloch is term-limited, Republican Corey Stapleton and Democrat Monica Lindeen will face each other in the general election to replace her. 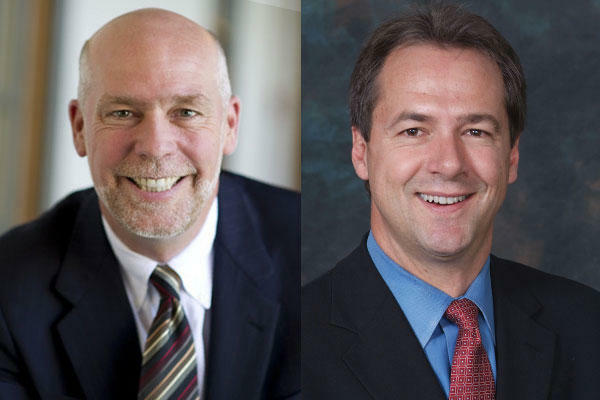 Montana’s gubernatorial candidates are scheduled to debate in Billings in September. The campaigns are working to confirm other debate offers. Eric Hyers, campaign manager for incumbent Steve Bullock, says the Democrat looks forward to showing Montanans the contrasting visions each candidate has for Montana. Democratic Congressional candidate Denise Juneau outlined a policy agenda on public lands today, using the event as an opportunity to continue attacking her opponent, Republican Ryan Zinke. Montana Congressman Ryan Zinke addresses the Republican National Convention in Cleveland tonight. His remarks will focus on national security and the need for American leadership in the world. Harrison Fagg is a party delegate from Billings; he spoke to us from the convention center earlier today. North American Indian Days is the biggest summer event on the Blackfeet Reservation. There’s a rodeo, there’s a powwow, there’s hand games and a parade, and even some politicking. For one congressional candidate, campaigning at Indian Days feels a lot like coming home. The candidates for Montana’s lone seat in the U.S. House today both sought to make news out of their positions on control of federal public lands.